By Madi Jobarteh – First of all it is recognized that there is total agreement that the members of the Coalition should remain under the Coalition to contest the forthcoming National Assembly elections. The question is what approach is the better option to take. 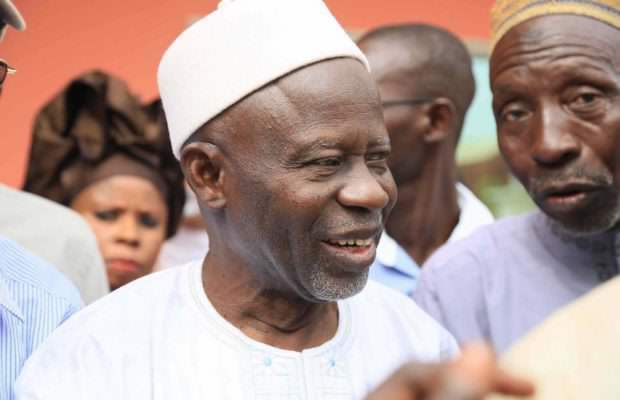 I have listened to the two respective narratives of both Halifa Sallah and Ousainou Darboe. My take is that Ousainou’s narrative sells better. Here are my reasons. Fielding independents would require those candidates to resign from their parties in order to contest. What happens when that candidate loses his or her election? It would mean he or she would have to re-apply to join the party again. Even if one wins the election, at the end of one’s tenure one would have to re-apply to rejoin one’s party since you have resigned. This is an inconvenience that is not necessary and costly. Secondly, a group of independents would be difficult to manage if there is a crisis because all of them are equal under the Coalition. One would have to appeal to them individually and collectively to get comprises and agreements. But if they are in the Assembly under their party tickets, one could directly engage the parties to seek a common position. Therefore this is a one-stop shop arrangement that is cheaper than going round multiple shops to get one single item. This is also risky because you may not get what you want. Thus Independents do not necessarily imply unity. Thirdly, with the Independents, it means such National Assembly members would be limited in the way they can interact with their parties because they resigned from their parties. The idea of Independents provides a clear sense of independence indeed such that even though they are under the auspices of the Coalition, yet the Coalition is not a single party. Hence in the event of disagreements or misunderstandings, these independents have a choice to either listen to their original parties or to stick to their individual positions or none of the above hence the inability of the Coalition leadership to manage. But if they were elected as party representatives, discussions become easier as it would be parties that would now be engaged first and agree so that their representatives carry out the decisions. We must bear in mind that the Coalition is a coalition of parties and not a coalition of individuals. Because the presidency is a single constituency with a single candidate, it made sense that the presidential candidate resigned his party membership on whose ticket he won the primary to become the president of the Republic. It is a different matter when it comes to the National Assembly. This is because the National Assembly comprises 53 multiple constituencies for 53 persons. There cannot be primaries for each constituency, which is why the parties must pursue a tactical alliance to ensure that no two parties field candidates for one constituency. It must be realized that if the candidates are independent, potentially this gives the Coalition a challenge to manage them. As independents, they are not required to listen to their parties. If there were any authority for them to listen to that would be Chief Servant Barrow himself because they share the same mode of election and status as independents. Therefore when these candidates are on their party ticket, it rather strengthens the Coalition and enables them and their parties to exert greater control over the president and his government. This way they give better guidance to their Coalition Manifesto by holding the president to account on what the parties agreed in that document. With Independents, such accountability could be weakened especially when their parties disagree. Would Independents then tow the line of their party or stand in opposition to their original parties or side or oppose with Barrow? On the flip side, one must also be realistic enough to realize that even if these candidates are elected as independents, they would continue to show allegiance to their parties hence it adds limited value to stand as independent. But standing under a party ticket offers better opportunities to better serve the objectives of the Coalition to the best of one’s ability. Standing as an independent can also potentially generate many unpleasant schemes and intrigues that can potentially injure the parliament and the Barrow Administration. Hence being independent can reduce the quality of accountability, efficiency and control of these candidates as opposed to standing under party tickets where parties would be required to exercise greater control and accountability especially for their Coalition Manifesto and MoU. While the president is also an independent candidate, yet because he is a whole-country constituency and the single head of state, he is preoccupied with the entire national agenda for only one term. Thus reasonably Barrow has limited chances or gains to scheme about or get into intrigues about anything since it is his legacy to make or break within a one-term presidency. Thus one would expect his interest would be to secure a supportive and unified National Assembly and Coalition behind him. But National Assembly members on the other hand have no such term limit or need other than to secure their future election hence they potentially could abuse their parties with their Independent status just to secure their seats. In practice such scenario could either kill or fundamentally change the dynamics within their parties, negatively or positively. Above all, in the event that the Coalition ends up splitting up, NAMs would only remain with their parties. Hence we should not make that divorce difficult only to force a relationship that is not working. It also means Barrow has to work hard to produce quality bills to take to the parliament because the NAMs must subject such bills to severe scrutiny. It must not be assumed that just because they are all under the auspices of the Coalition therefore any thrash that comes along will pass. But when the NAMs are party representatives, they can agree to disagree until there is quality piece of legislation. This enhances democracy and ensures good governance. In view of the foregoing, these parties under the Coalition must begin to critically analyze the various constituencies so as to identify which parties will field which candidates in which constituencies. In this process, there should not be any quota system to determine how many candidates should each party provide. Rather the principle of electability is what must be considered. For that reason, consideration must also be given to new aspirants especially the young and women for constituencies in which none of the party candidates would be electable or where the new ones have greater electability. I hope the members of the Coalition would fully grasp the dynamics and the urgency of what we face and take the right decision at the right time. In any case, the Coalition members must be determined and careful to ensure that they offer the best option to the people so that the masses can elect them as the majority in the house. They must bear in mind that the Gambia has decided not for a mere regime change but for a system change. This means democratically killing APRC by not allowing any of their candidates to be elected in the National Assembly. If the Coalition fails to do that then the souls of the departed freedom fighters and innocent citizens shall never forgive them. The best way to do that is through a party-led candidature under the auspices of the Coalition on a tactical alliance arrangement.